Needless to say, there is a pretty small return on investment for businesses when a customer tosses the item in the trash, without even looking at the logo you that painstakingly labored over. Lack of brand recognition or recall diminishes your investment in the product. Fortunately, you don’t have to do any guesswork when it comes to choosing a product. There’s a ton of research out there that reveals what consumers will respond to; and, when it comes to a USB flash drive, or another promotional product, they like useful stuff. 91 percent had a promotional product in the kitchen. 74 percent had a promotional product in their workspace. 55 percent had a promotional product in the bedroom. Here’s more proof: When consumers were asked why they hang on to a product, more than 75 percent said they keep a useful product, while only 20 percent decide to keep an item because it was attractive. Don’t make the process of choosing a promotional product difficult. The first rule of thumb is: Go useful. In a random study, two groups of people were asked to cough up a referral. One group received an accompanying promotional product along with the request. The other didn’t. Guess which group gave more referrals? As much as 500 percent more referrals? The group that also received a promotional item. Direct mail response rates increase by 50 percent when the sales letter or postcard includes a promo item. Including promo products generates four times more responses, than a standalone sales letter. When used as a response incentive, promo products lower the cost per response by two-thirds. Avoid these three marketing sins at all costs. When choosing a product, asking for a referral, or sending direct mail, you don’t want to stir up a negative customer response. 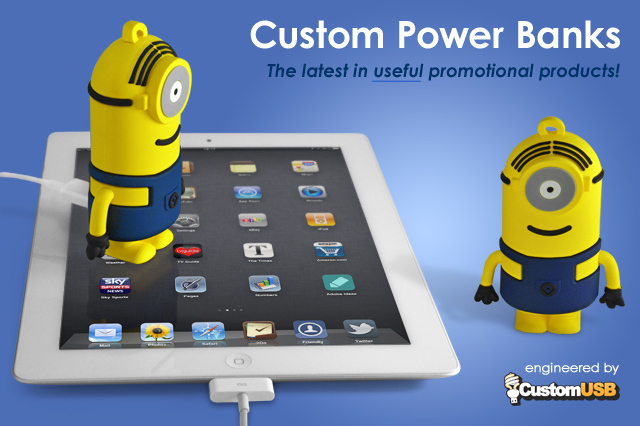 Use and choose your promotional USB product wisely, and generate customer goodwill instead. I wish see your products please send me if you can your company catalog from your website, we have 21 years computers sales in my country. Armando, you can find all of your products by browsing through our flash drive models. We also carry earbuds, and power banks, as well as other custom products. We can also deliver models which are not available in our online catalog. If you wish to speak to a customer representative, you can fill out a quote request form or contact us directly by phone or email. Thanks for your inquiry.